The Coral Welsh National is one of the top staying chases of the season and often throws up a leading contender for the Grand National. 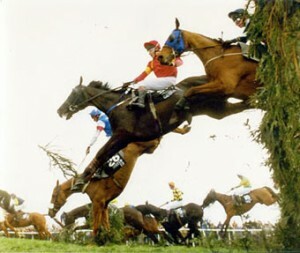 Earth Summit, Bindaree and Silver Birch all won this race before winning at Aintree whilst Master Oats, Cool Ground and Synchronised would go on to win the Cheltenham Gold Cup. Paul Nicholls has left Tidal Bay in the race and his presence has compressed the weights to leave eight horses out of the handicap. The Ditcheat Trainer enjoyed his eighth success in the King George VI Chase at Kempton on Boxing Day and now hopes to add another major prize. No horse has carried 11st 12lb to victory in this race since Carvill’s Hill for Martin Pipe and Peter Scudamore in 1991. Tidal Bay is a class performer who won the Lexus Chase last season and also scored over hurdles at Wetherby on his seasonal debut. He was well beaten in the Betfair Chase last time out and is now into the autumn of his career. The next horse in the handicap is Teaforthree who finished a gallant runner-up here behind Monbeg Dude 12 months ago. He went on to finish a fine third in the Grand National but has not managed to have a prep race this season. Jockey Patrick Corbett claims a further 5lbs off his back which means he receives 15lbs from the top weight. Two of the best backed horses in the race are Well Refreshed and Merry King. Gary Moore has laid out Well Refreshed for this race and was delighted with his third place in the London National at Sandown. He may even have won that day but for a couple of mistakes and must have a leading chance in his favoured heavy ground. Merry King hails from the stable of Jonjo O’Neill who trained Mini Sensation and Synchronised to win this race. Merry King was fifth in the Hennessy Gold Cup at Newbury where he was just found wanting for a turn of foot in the closing stages. Another dour stayer with a liking for soft ground, he could be a good bet at 8-1 with Bet365. Jim Dreaper trained Notre Pere to win here in 2008 and now runs the six-year-old Goonyella. This horse’s preparation has been hindered by a late change to his travel plans after the winter storms hit Britain. He was not able to travel until Boxing Day and had to endure a 17 hour journey. Providing that he has recovered, he is also expected to enjoy this marathon test. Highland Lodge finished fourth in the Hennessy after travelling well in front for a long way. This has been his objective ever since and trainer Emma Lavelle is confident of a bold showing. Among the outsiders, Paul Nicholls also saddles Hawkes Point who should improve for his fourth place three weeks ago. Vintage Star represents the Grand National winning team of Sue Smith and Ryan Mania whilst Goulanes and Wyck Hill have chances on their best form.